Tourmaline is famous for its excellent transparency, vitreous luster and, most of all, its enormous range of colors. Though tourmaline can be found in virtually every color in the spectrum, the most common hues are pink and, especially, green. Though green is the most typical color in tourmaline, the color variation is vast, ranging from sea green to apple green, mint green, forest green and avocado. A medium forest green is the most common hue, but there are some shades of green tourmaline which are quite uncommon and valuable. These include a a saturated chrome green, unusual bi-colors, rare teal or blue-green, and an intense neon green. 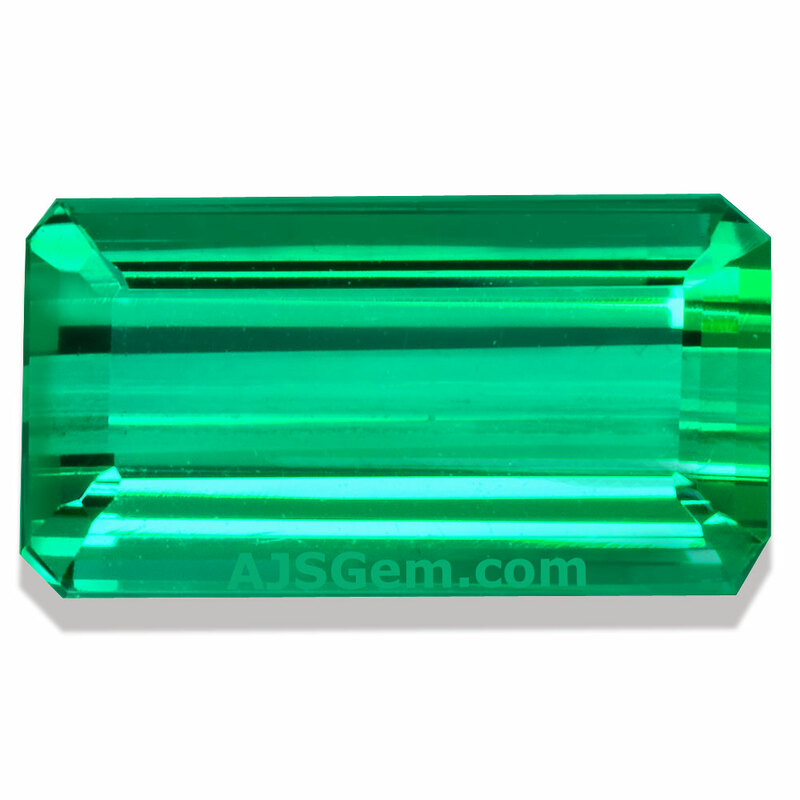 The more common green tourmalines can be very attractive, with a bright open color. They can also be found in larger sizes, with fine stones over 8 carats not uncommon. The most saturated green tourmaline is the rare Chrome Tourmaline from East Africa. 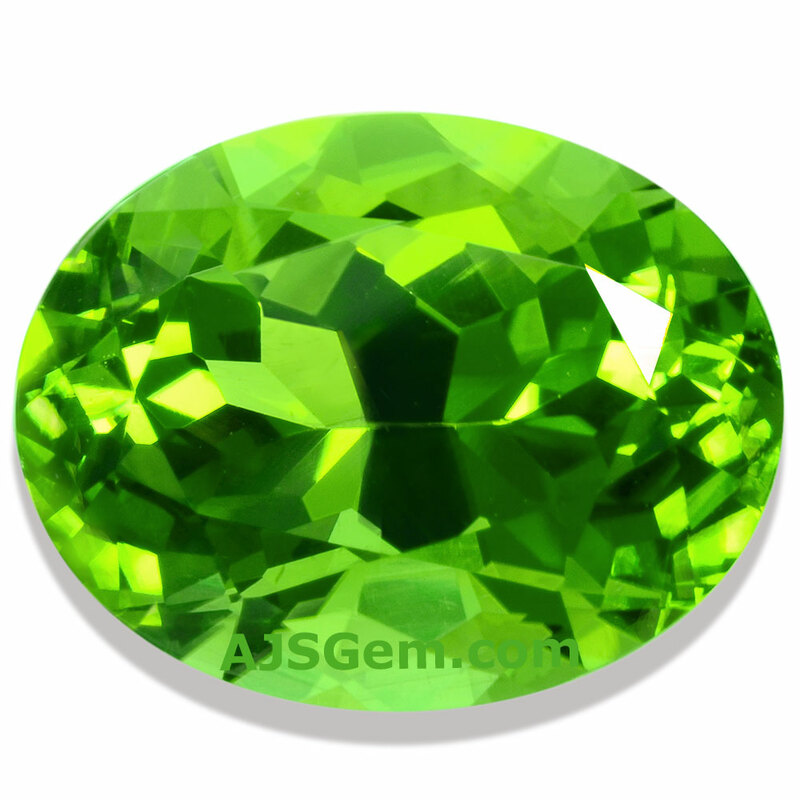 It is distinguished from the more ordinary green tourmaline by its deep color and its chromium content. The color of chrome tourmaline is so intense that high quality stones are generally found only in smaller sizes. Chrome tourmalines over 2 carats tend to be dark and overcolored, and larger specimens with an open color are especially rare and valuable. Bi-colored and multicolored crystals occur frequently in tourmaline, more than in any other gem. This lovely accident of nature is due to variations of fluid chemistry during crystallization. Green and red are often found together in bi-color stones, but yellow, orange and pink are also common. Blue-green is a rare color in tourmaline, with pure blue exceptionally rare. Known as indicolite, most specimens will have some green secondary hue with a teal color the most typical. The purer blues will tend to be found only in small sizes, often under 1 carat. Larger stones will tend to have a stronger green component. Blue-green bi-colors are also found. The rarest of all tourmalines is the copper-bearing paraiba found in Brazil and Mozambique. Though the neon blue is the best known color for paraiba, there is an intense green paraiba mined in Mozambique that is rare and unusual and coveted by tourmaline collectors. Green Tourmaline is found in a number of locations in the world. Historically, the most important deposits were in Sri Lanka, Brazil and the USA (California and Maine). More recently, Africa has become an important source of fine tourmaline, with Nigeria the leading producer. Significant deposits are also found in Mozambique and Afghanistan. This month we feature top green tourmalines from our collection, including chrome, bicolor, blue-green and paraiba. A fine Chrome Tourmaline in the classic deep emerald green color. Clean and well cut with an open color, this lovely gem will set up beautifully in your jewelry design. Guaranteed natural and untreated. A superb Bi-Color Tourmaline with brilliant shades of green and gold. The fine cutting brings out both the color and luster of this fine gem and the polish and proportions are excellent. This is beautiful material, completely loupe clean. Guaranteed natural and untreated. A rare blue-green Paraiba Tourmaline from Mozambique. This unusual gem has an intense saturation and a deep tone and is certified by GIA as containing traces of copper and manganese. A rare gem for the tourmaline collector. Guaranteed natural and untreated. A wonderfully vivid bluish green Tourmaline. This gem has excellent brilliance and the scissor style cutting and perfect clarity make this a top specimen. This is a fine gem tourmaline that will sparkle in any setting. Guaranteed natural and untreated. Nice tri-color tourmaline from Mozambique. Blueish green on one end, bright copper color in the middle and light yellowish green on the another end. An unusual and charming stone. Guaranteed natural and untreated. An impressively large Green Tourmaline with vivid color. A truly a one-of-a-kind treasure this gem is full of fiery brilliance. We cut this special gem into a stunning octagon shape with a precision scissor cut style. A perfect stone for your autumn wardrobe. Guaranteed natural and untreated. On October 7th President Obama signed an executive order lifting trade sanctions on Burma (Myanmar), including the ban on Burmese ruby and jade. He had announced plans to lift the sanctions on September 14th, during the visit of Daw Aung San Suu Kyi to Washington. The order is effective as of October 7th. Click here to read the announcement from the US Treasury Department. We are now waiting for confirmation from US Customs that procedures to clear Burmese rubies and jade are in place. We will then make an announcement on our home page and resume shipments of Burmese ruby and jadeite to the US. The most expensive lot sold at Sotheby's Magnificient Jewels and Jadeite auction in Hong Kong in October was a 5.07 ct Burma Ruby ring with 7.56 cts of diamonds that sold for $1.9 million, at the lower end of its estimate. The top lot at the auction, a jadeite bangle estimated at $6.4 million to $9 million, did not find a buyer at the sale. We don't know yet whether supply will increase, since it's limited by current mining operations. But it's fair to assume that demand that will increase significantly, since the US is the largest gem market in the world, and the American market has not had access to Burmese ruby and jadeite for more than 8 years. Increased demand typically leads to higher prices. Origin identification is a recent development in lab reports for colored stones. Leading gemology labs such as GIA, GRS, AGL, Gubelin and SSEF now offer country of origin identification for certain gem types, usually ruby, sapphire, emerald, spinel, jade, alexandrite and paraiba tourmaline. The science behind these identifications is based on the pioneering work of Dr. Edward Gubelin, whose lifetime work was the study of gemstone inclusions. It is still an evolving science, however, and different labs may disagree on the origin of a particular gem. The lab reports tend to use fairly careful language in stating their opinion on origin and will state the country (and occasionally the region) but not the specific mine.